If your wired mouse isn’t working, you’re probably out of luck. Those things are generally foolproof and rely on deep system tools like HID configurations to function. If that doesn’t work, it’s probably an issue with the hardware. Wireless mice, including Logitech mice and the Magic Mouse, are far more likely to suddenly disconnect. If your wireless mouse isn’t working in macOS, try these options listed below. 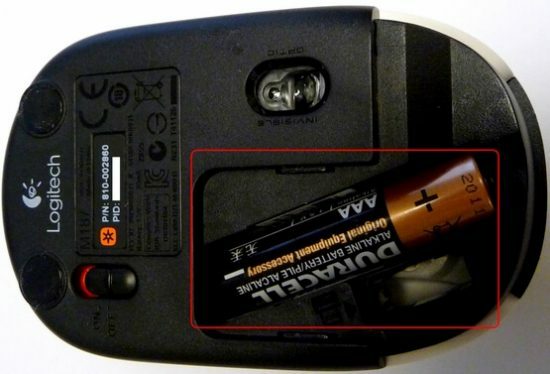 If you have a wireless mouse, check the batteries. This is the number one cause of mouse pointer misbehavior. Replace the batteries with fresh batteries. If you don’t have any fresh batteries, try an old TV remote trick. Spin the batteries in their cradle by rolling them gently with your fingertips. This can remove any built-up corrosion in the contacts. If that doesn’t work, try swapping the battery position. While you’re at it, make sure the batteries are in the right way around. Even smart adults make that mistake from time to time. To fix a skipping mouse cursor, try using the mouse on a different surface. The ideal surface for a mouse is an even-toned mousepad, but most decent mice can track on most hard surfaces. Glass is a terrible surface for a laser mouse to track on. Multi-color surfaces, like wood with a prominent dark grain, will sometimes confuse even modern laser mice. For mice with power switches, try cycling the power. Turn the mouse off, wait ten seconds, and turn the mouse back on. That will refresh the wireless connection and give a wireless mouse the opportunity to establish a more stable communication channel. If your mouse uses a USB receiver, like most Logitech mice, make sure the receiver is physically close to the mouse. 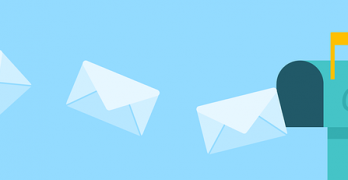 Line-of-sight between the mouse and the receiver isn’t necessary for modern radio frequency mice, but it can help reduce the number of obstacles that might interfere with wireless transmission. Some lower-quality receivers must be within as little as twelve inches of their mouse, while others can work from six feet away. Sometimes this even varies dramatically within the same mouse manufacturer and model. 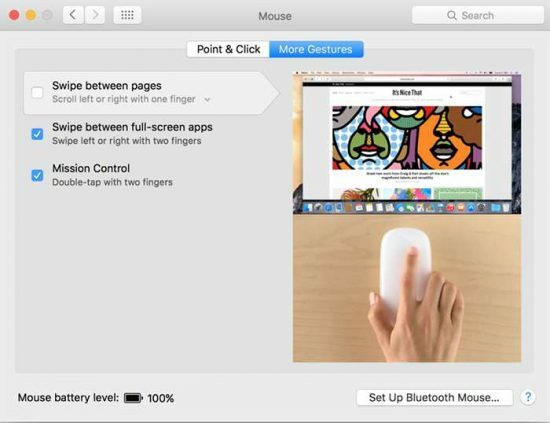 For Bluetooth mice, like the Apple Magic Mouse, you’ll want to try toggle the Bluetooth on the connected Mac. Turn it off, wait a few seconds, then turn it back on. This will help the Magic Mouse reset a troublesome connection. Try turning off other nearby wireless devices. Depending on the wireless band your device uses, you might be encountering destructive interference. While some mice work on the relatively empty 27 MHz band, other mice are on the extremely-crowded 2.4GHz band. Also, make sure the mouse’s receiver isn’t plugged into a USB hub. This is another one of those things that don’t matter in 99% of cases, but sometimes the hub doesn’t handle mice properly. Ensure this isn’t a problem by connecting the USB receiver directly to the Mac. If nothing helps, try a different receiver as well. While it’s rare, it’s not impossible for receivers to get damaged. If the device isn’t receiving enough power, it won’t be able to reliably pick up the wireless connection. Force the connection to reset by either removing the USB receiver or toggling Bluetooth on and off, depending on how your mouse connects to your Mac. You can also refresh the connection by restarting your Mac. 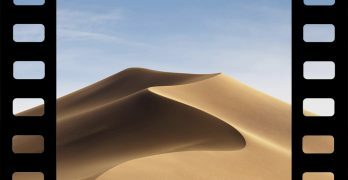 If your mouse is having trouble after the computer wakes from sleep, make sure you’ve given it thirty seconds or so to reconnect once your Mac wakes up. Almost all mice use some sort of computer-side configuration utility to manage things like button assignment and scrolling features. Magic Mice have their configuration utility built into macOS in the “Mouse” panel of System Preferences. To try to set up the mouse from a fresh install, click “Set Up Bluetooth Mouse” in the preference pane, and go through the setup process anew. 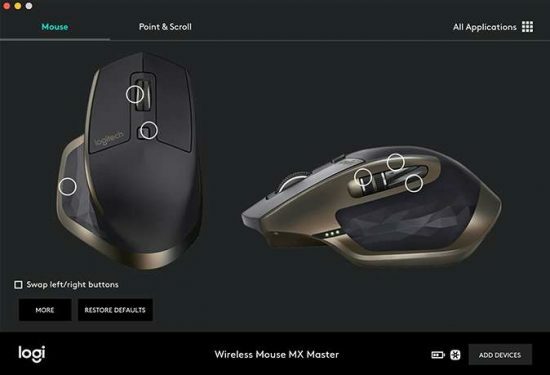 Logitech uses either Logitech Options or Logitech Gaming, depending on the model of mouse. Regardless of the software, you can try removing your mouse from the configuration utility, restarting the Mac, and then adding the mouse back again. If your mouse cursor is moving too quickly or erratically, you can adjust those settings in the Point and Click tab of Mouse preference pane within System Preferences. If you’ve tried all these options and none of them have helped, you should make sure the manufacturer says your mouse is compatible with macOS. All mice are compatible with macOS, but not all software runs on macOS. 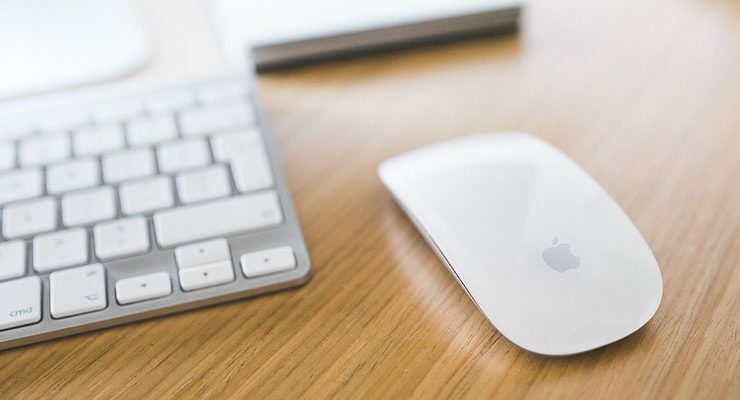 If the manufacturer’s configuration software doesn’t run on macOS, the Mac will detect the mouse as a pointing device, and extra buttons might not work properly. If that’s the case, third-party mouse management applications like SteerMouse can assign extra buttons to keystrokes and take the place of software that’s not Mac-compatible. If your mouse is double-clicking, not sensing your clicks, or otherwise processing input incorrectly, it could be a hardware failure. After about 100,000 clicks, you can expect most mice to show some wear. This normally manifests as errant double-clicks in the primary click button. If that’s the case, you’ll need to replace the mouse completely to solve the problem. Cat hair in the lens! 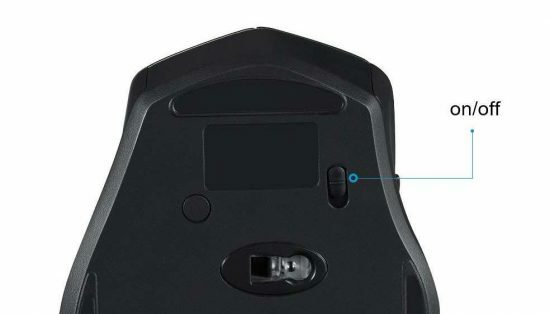 When a single tiny cat hair gets into the lens portion of my mouse, the tracking gets sluggish. It’s often difficult to see, but a pair of tweezers all that’s needed to routinely fix my mouse.